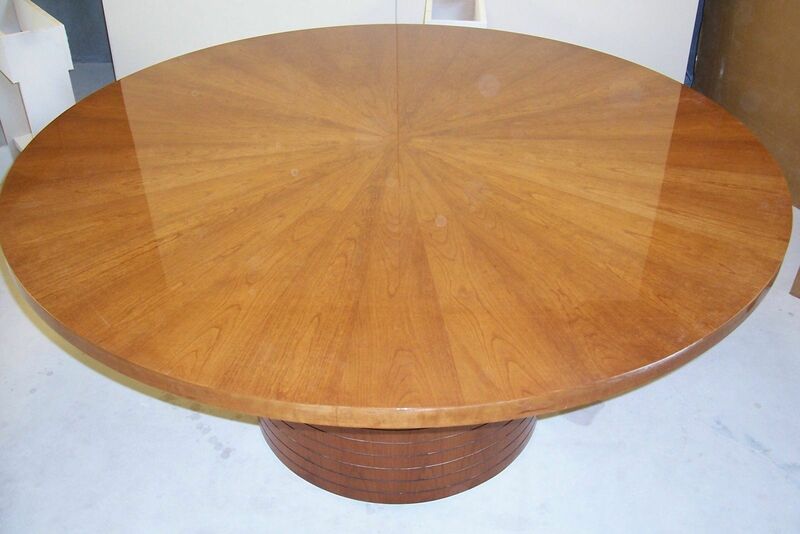 This 60" cherry breakfast table features 32 book matched veneer flitches in a sunburst pattern. The cherry barrel base features quirks. Polyester finish with a full filled grain at 90% sheen. This table can be customized to suit your needs.